The Presbyterian United Church of Christ invites you to join us for worship, study and fellowship. 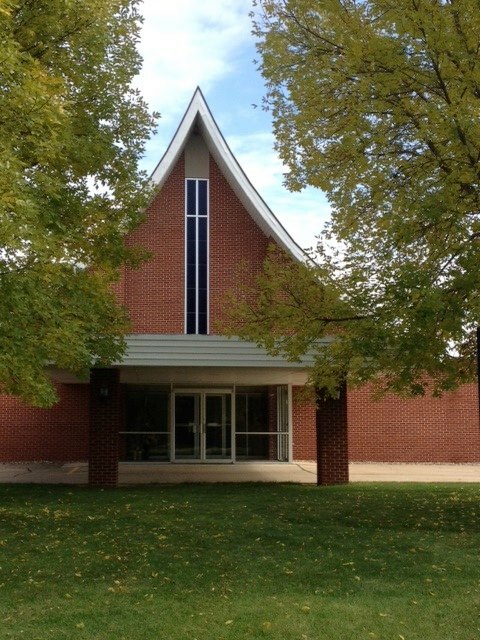 The Presbyterian United Church of Christ was formed on October 23, 1966 when two congregations, the First Presbyterian Church and the St. John’s United Church of Christ joined together to worship. We are governed by Presbyterian polity. Wherever you are in your spiritual journey there is a place for you at Presbyterian United Church of Christ. Each week we offer a full range of opportunities for worship. Bible Study and fellowship are offered for all ages. Children’s Chapel is offered September through May after the children’s time in the worship service. Chancel Choir meets Wednesday evenings at 7:00 p.m., September through May. Persons may enter into active church membership by profession of faith, reaffirmation of faith in Jesus Christ or transfer of certificate from another church. A faithful member accepts Christ’s call to be involved responsibly in the ministry of the church. Periodically a class is offered to acquaint people with the church. Please call the church office for more information. March 10 ~ Worship with us @ 10:00 AM ~ 1st Sunday in Lent ~ Daylight Savings Time Begins! Don’t forget to move your clocks forward an hour! 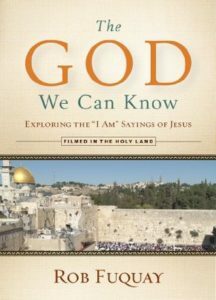 Getting to know God means getting to know ourselves. The more we know who God is the more we know who we are. This Lenten season, we will be getting to know God by looking at the statements Jesus made that began with the words, “I am.” We will start with “I am the Bread of Life” and “I am the Light of the World,” and move through more as the season continues. Our entire congregation will be exploring these sayings as we worship on Sunday morning, and also through small groups. One by one, Jesus’ statements will grab our imagination, revealing more about his identity and purpose, and connecting us to the God of Moses, who spoke the first “I AM.” These significant yet ordinary images (bread, light, shepherd, vine, and more) will give us insightful ways to experience Jesus and also point us to a God who wants to be known. We will be using the book, “The God We Can Know: Exploring the ‘I Am’ Sayings of Jesus,” by Rob Fuquay as a resource in this series. The series will be introduced during worship on March 3rd with small groups beginning the week of March 10th. If you are interested in participating in the small group study, please sign up in the narthex, or contact the office. Did You Know We’re on Facebook? Yes, we are on Facebook. All you need to do is search Presbyterian United Church of Christ and there we are. Go ahead and click the (LIKE) button. This will make sure that everything we post is on your newsfeed for you to see. When you see something that you would like to share with other friends on Facebook, all you need to do is click the (SHARE) button and it will appear on your newsfeed. It is that simple. So, the next time we have something extra special like a concert, picnic, or special service, go to Facebook and share that information with all of your friends. Presbyterian United Church of Christ shared a link. Followers of Christ serving, growing and reaching out as a loving and engaged faith community with opportunties for all. Copyright © 2019 Presbyterian UCC.